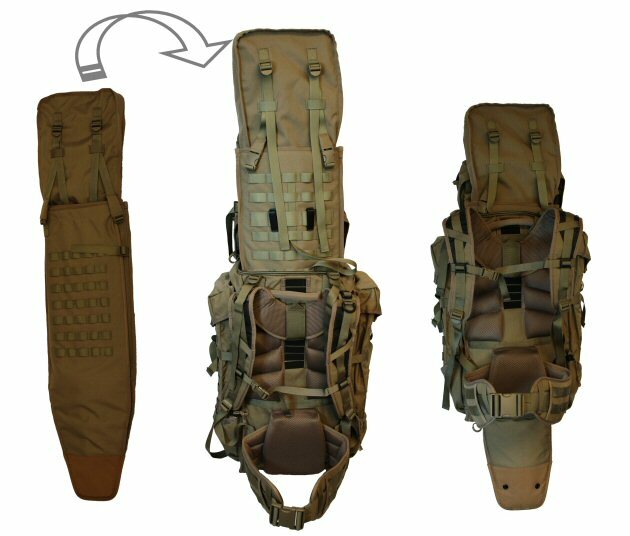 A4SS Side Scabbard is a configurable weapon carrier, capable of being rigged to contain virtually any man-portable weapon. It links to the F4M pack's main frame panel. 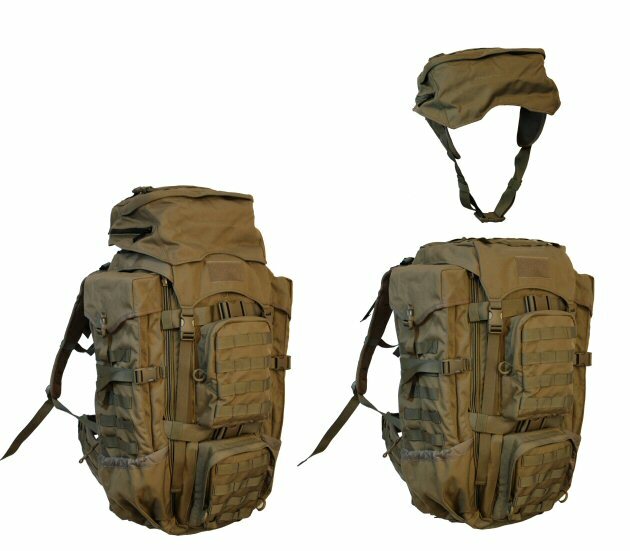 At left, the basic pack. 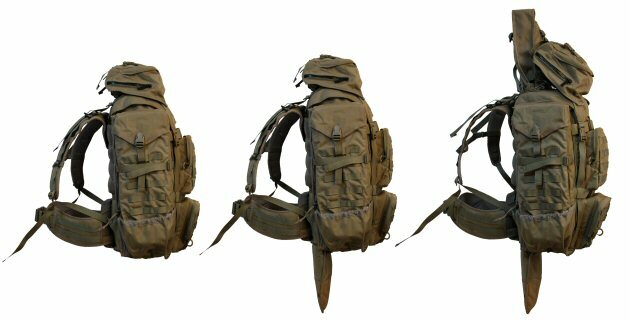 Center, the pack as it will look with a folding-stock sniper rifle or other weapon less than 32" length. At right, any weapon up to 60" can be contained in the A4SS and carried in the F4 pack. Military Green, Coyote Brown, Dry Earth, Multicam, or Unicam.